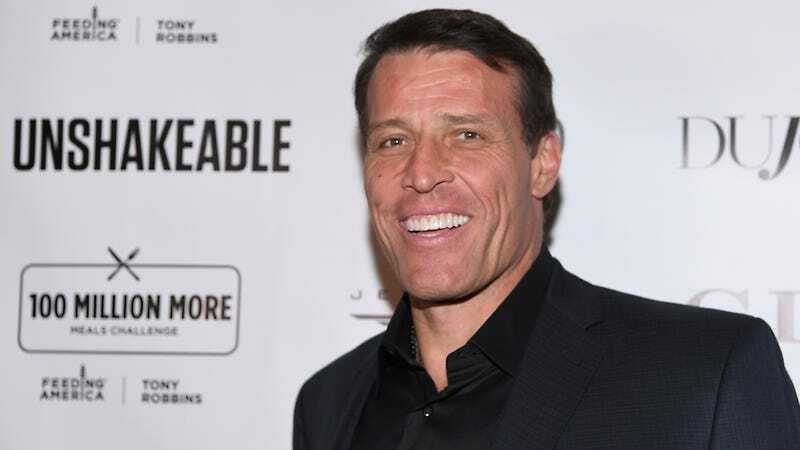 Lifestyle guru Tony Robbins has built a career on motivating people to improve their lives, but based on the comments he’s made about the #MeToo movement, that doesn’t include motivating women to call out their sexual abusers. Robbins recently claimed women used the #MeToo movement in order to make themselves “significant” through “victimhood,” a statement that got revisited last week when video surfaced of a woman confronting Robbins at an event last month. That video went viral, people were rightfully angry, and Robbins has put out an apology. The video, which Now This News disseminated on Friday, shows a woman named Nanine McCool trying to discuss #MeToo with Robbins at a self-help event in San Jose on March 15. Robbins had just brought up #MeToo on stage.“If you use the #MeToo movement to try to get significance and certainty by attacking and destroying someone else, you haven’t grown an ounce,” he claimed, per the video. “All you’ve done is basically use a drug called significance to make yourself feel good.” McCool, herself a victim of sexual assault, called him out. It would be nice if these apologies weren’t contingent on collective outcry, but I suppose in this world, we’ve swapped out self-reflection for the threat of lost book sales.